So, how do you prevent this type of security breach? One sure-fire way is to buy only US-made and US tested USB drives from a trusted source. Smart IT pros avoid this problem entirely by using tried-and-true products. 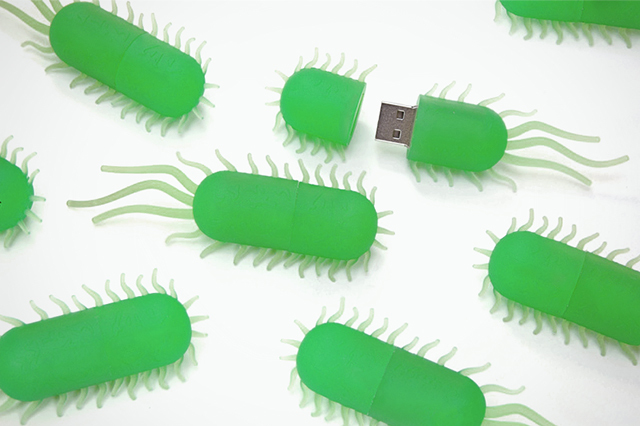 Built in the USA and rigorously tested for security and reliability, CustomUSB flash drives never leave clients with the electronic equivalent of abscessed teeth. Saving a few bucks isn’t worth the reputation risk of a major information security breach. Learn from the ADA’s mistake and stick to trustworthy, reliable flash drives from CustomUSB. To be realistic this could’ve happened with any USB supplier. It’d be a little unfair to judge your competition professionalism when the breach isn’t truly explained. All you need is one bad apple. This is true, the issue is mostly with ADA and not the Chinese supplier, considering the content is being sent by the ADA and not their contractor. The problem is that these USB drives are very potent and cannot be treated like a pen or a mug someone would get for their giveaway. I’m an IT professional & if I find this article offensive. Is CustomUSB really claiming they manufacture flash memory? Nonsense, the infrastructure necessary is way beyond a promotional product distributor. The alternative is that you’re suggesting you distribute American made memory, oops again, nonsense, as there is not a single flash memory manufacturer in the US. Shame on you for claiming “American Made”. CustomUSB is not claiming that the memory component is made in the USA. We do, however, believe that we are the originator of the product and therefor take full responsibly for it. This includes all the data that is on it. We make sure that all data is clean before and after it is loaded. We do our own programming, data loading, and QC as well. If you are ever in the Chicago-land area, we would be happy to show you our facilities to put your mind at ease. We are very proud to say that we do indeed make it here. I appreciate your response, however the more honest statement is that your product is assembled & decorated in the USA. All flash memory could arrive contaminated from China, Singapore, Korea, Vietnam, so you’re not impervious to malicious malware code on foreign purchased flash memory. While I don’t know anything about the shapes, but I know security every bit as well as I know memory including the countries where it’s manufactured where around the world. Given the overlap in body shapes except for the one of a kind shapes you make, those are almost certainly made somewhere other than the United States. To be clear, were I so inclined, I could embed malware on a flash chip or in the firmware on the controller and while I’m not sure, I might be able to find a way to add malicious function on the PCB, but that’s far more challenging, plus, all of these components are manufactured overseas. You can get boards and controllers here, but that would make no sense. There’s nothing wrong with saying “Assembled, Decorated & Data Services” point is, your comment is misleading at best. The problem is nothing is made here. Of course, the president, aided by Congress, has a plan. First, continue allowing Chinese product, built by 8-10 yr olds working oppressive hours and days for $283/month, to come into the country with exceedingly favorable tariffs. Second, continue the highest corporate tax rates in the world for U.S. based companies. Third, raise the minimum wage to 20 times that given to Chinese children (based upon similar hours and OT pay for above 40). That will teach ’em! We will be back to having every product manufactured in the U.S. in no less than 1,000 eons, for certain! where can I buy the flashdrive featured in the story photo? Jon, the flash drive featured here was a custom shape design for a client. We can produce a similar shape for you. If you are still interested in this custom shape, please call or email us, or submit a quote request, and one of our sales reps will contact you shortly.